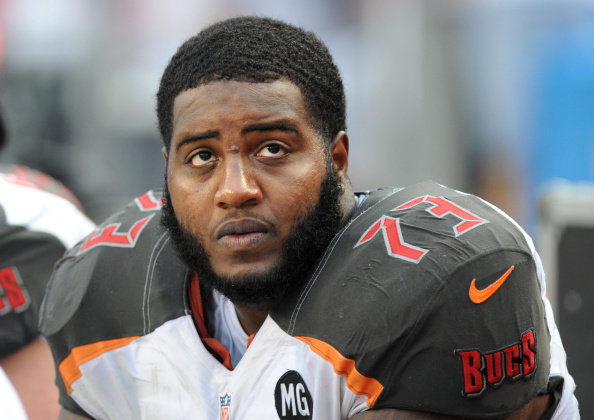 The Tampa Bay Buccaneers have decided to cut their losses on three recent free agent acquisitions: defensive end Michael Johnson, offensive tackle Anthony Collins and safety Dashon Goldson. Johnson is released one year after signing a five-year $45 million deal. Johnson’s 4 sacks across 14 games in Tampa with an annual salary of $9 million was simply bad business. He looked dis-interested when healthy and his effort was openly questioned. Still only 27-years-old expect the Cincinnati Bengals and the Minnesota Vikings to show interest. The move saves the Bucs $2 million against the cap but leaves $7 million in dead money. Anthony Collins joins Michael Johnson on the open market one year after signing a five-year $30 million deal. Collins was a train-wreck at left tackle last year on a poor offensive line. So much so, that the Bucs deactivated him during the final four games of the 2014 season, a healthy scratch. The move saves the Bucs $3 million in cap space and results in $3 million in dead money. Dashon Goldson never regained his 2012 All-Pro form after signing with the Buccaneers in 2013 on a five-year $41.25 million deal. Goldson, known for his physical play demonstrated competency in coverage while in San Francisco but simply couldn’t get out of his own way in Tampa, racking up penalties and fines for helmet-to-helmet contact repeatedly. Despite hiring a trainer/coach to assist with his technique it only served to curtail his physicality. In 2014, Goldson floundered in Cover 2 as it became apparent that he was solely an “in the box” safety and a fish out of water in the deep half. The move saves the Bucs $4 million and results in $4 million in dead money as well. Updating a previous report Dashon Goldson has not been released. The Buccaneers are currently shopping the safety but may end up releasing him if they are unable to find a trade partner. General Manager Jason Licht and head coach Lovie Smith hope to make amends with the recent signing of linebacker Bruce Carter and the expected signing of Chris Conte. 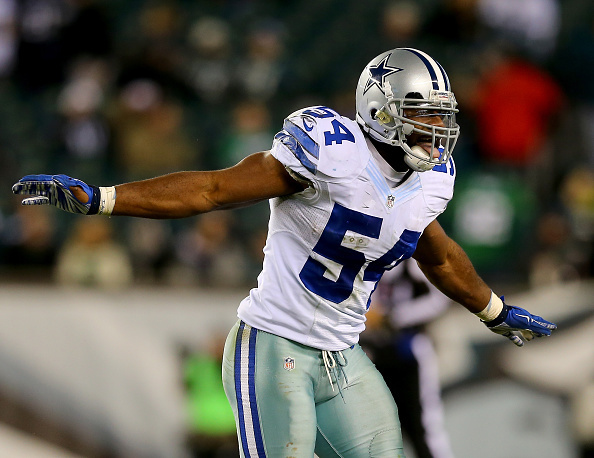 Carter was signed today to a 4-year $20 million deal and is expected to start at either strong-side linebacker or in the middle. Conte will slide into the starting lineup in place of Dashon Goldson. – CB Brice McCain signs with the Miami Dolphins. – S Antrel Rolle signs a 3-year deal with the Chicago Bears worth $11.25 million (5 million guaranteed). – WR Eddie Royal signs a 3-year deal with the Chicago Bears. – CB Chimdi Chekwa signs 1-year deal with New England Patriots. – G/C A.Q. Shipley signs 2-year deal with Arizona Cardinals. – DE/OLB Jabaal Sheard signs 2-year deal with New England Patriots for $11 million ($5.5 million guaranteed). 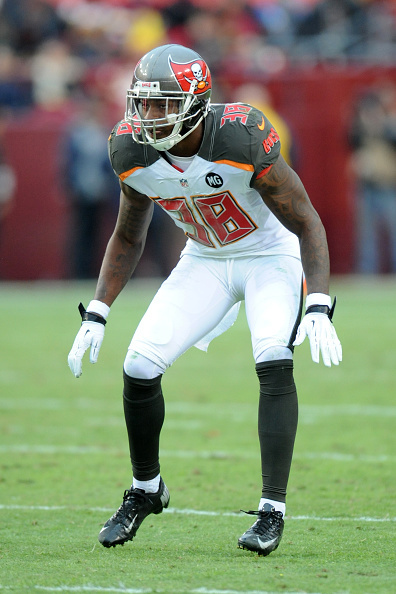 – WR Leonard Hankerson signs 1-year deal with Atlanta Falcons. – DE/DT Corey Redding signs 2-year deal with Arizona Cardinals worth $6 million. – FB Henry Hynoski re-signs with New York Giants for a 2-year $2 million deal. – LB Mark Herzlich re-signs with Giants. – CB Walter Thurmond III and the Philadelphia Eagles agree to terms on a 1-year contract. – DT Stephen Paea signs with Washington Redskins on a 4-year $21 million deal ($15 million guaranteed). – Former Super Bowl MVP and Seahawk, LB Malcolm Smith, signs with the Raiders on a 2-year $7 million contract. – OLB Brooks Reed signs a 5-year $22 million deal with the Atlanta Falcons. – S Mike Adams re-signs with the Indianapolis Colts. – CB Buster Skrine signs a 4-year $25 million deal ($13 million guaranteed) with the New York Jets. – TE Owen Daniels signs a 3-year $12 million deal with the Denver Broncos. – LB Johnathan Casillas signs a 3-year $10 million deal with the New York Giants.